What follows is a breakdown of the most commonly asked questions about drug testing, from ‘How Do I Pass a Drug Test’ to the reasons why you may be tested for drugs in the first place. If there’s something we haven’t included then feel free to contact us. The best way to pass a drug test is abstinence, for the simple reason that if you haven’t been using drugs you can’t possibly fail a drug test. After all, drugs only remain detectable for so long, beyond which time (providing you haven’t used again) you should pass the drug test with no difficulty. To see how long drugs remain detectable, please visit the drug detection times page or alternatively, try our Virtual Drug Test. 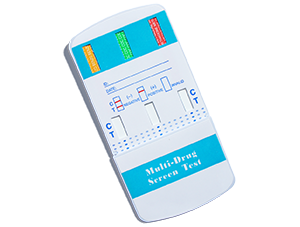 If you’re still uncertain as to whether you’re likely to pass a drug test, then why not use one of our drug testing kits and find out? 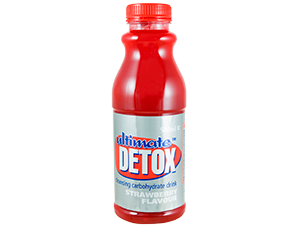 This will give you an accurate and dependable result within minutes. Will I be tested for drugs? Individuals are most commonly drug tested in the course of their employment but also for competitive sport, health or life insurance, parole, probation and occasionally, children by their parents or school. Annual medical – identifies current users who may receive assistance and/or disciplinary action. Post-accident – testing employees that are involved in an accident, or who show a pattern of unsafe practices. This will help determine if drugs and/or alcohol use is a factor, and protects the overall safety of the workplace. Pre-employment – reduces the chance of hiring someone who is currently using drugs; offer employment only after a negative drug test. Pre-promotion – avoids offering promotions to drug users by testing prior to promotion within the organisation. Random testing – unpredictable and random testing is commonly used in safety and security sensitive professions. By using random testing, companies discourage use and are able to refer those positively tested for disciplinary action, or assist them in obtaining treatment. Reasonable suspicion – testing employees who show obvious signs of being unfit for duty, or who have documented patterns of unsafe work behaviour. This protects the safety and well being of the employee and other co-workers. Also provides an opportunity for rehabilitation. Treatment follow-up – periodically test employees who return to work after completion of a drug or alcohol rehabilitation programme. This encourages employees to remain drug free. What drugs do they test for? Laboratories test for traces of each individual drug such as cannabis, ecstasy, amphetamine, LSD, cocaine and heroin. Sometimes they extend this to include prescription drugs like sedatives and anti-depressants. What if they test my blood or something else? Urine is most commonly tested because it is the main excretory route for drugs and their metabolites. Furthermore, the drugs remain detectable for much longer and asking for a urine sample is less intrusive than a blood sample. Although drugs can be detected in saliva and perspiration, the detection time is much shorter than urine and laboratories tend not to use these tests for this reason. Finally, hair testing is uncommon because it is expensive and in any case often requires a urine test for confirmation. There have also been concerns voiced regarding the use of hair testing, as some people believe it discriminates against people with darker skin. The reason being that the pigment melanin is similar in chemical structure to THC (Tetrahydrocannabinol, the active component in cannabis). 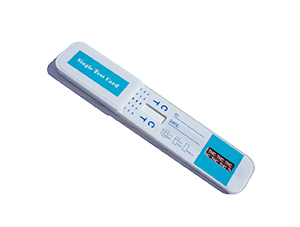 For further information on the tests performed, visit the types of test page. It varies from person to person according to age, gender, metabolism and general state of health; also the analytical method, the type of drug, the quantity and frequency of its use influence the detection time. Unfortunately, one of the most popular recreational drugs – cannabis – remains detectable for the longest period of time, more than 30 days in some users. If you are concerned about whether or not you will pass a drug test, then why not try our Virtual Drug Test which involves a few brief questions regarding usage before giving a result followed by some useful suggestions to make sure you pass that drug test. Alternatively, visit the detection times page. What should I expect from a test? You will be expected to sign a consent form, saying that you allow the sample to be taken and tested. The paperwork will also establish a “chain of custody”. You may be asked to declare any medication you have taken recently, to ensure this does not interfere with the test. You may be asked to undress and wear a surgical gown – this is to prevent you from bringing in either a sample from somebody else or a substance to adulterate your own sample. The Medical Review Officer will take the sample’s temperature and check its freshness to ensure it has just been passed. Occasionally you will be directly observed urinating to prevent any attempt at interfering with the sample. Where can I find out more about drug testing?